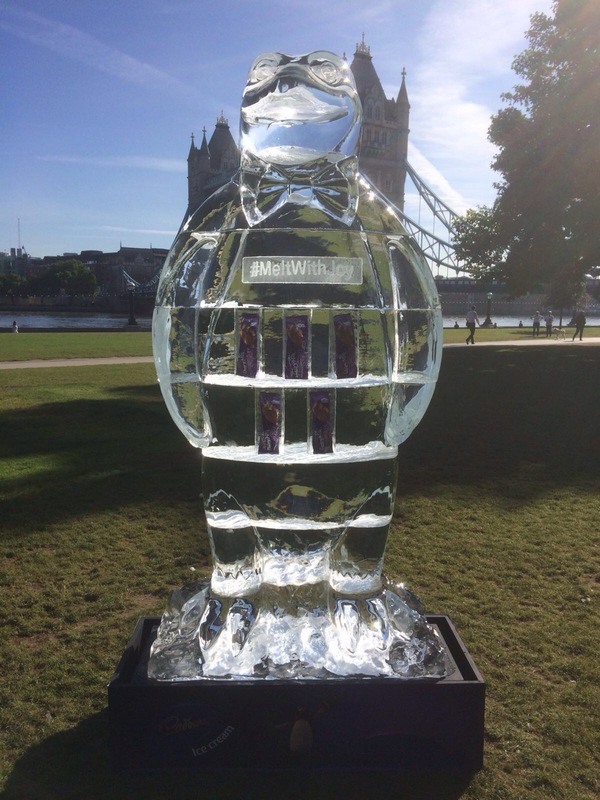 Icebox was commissioned by Finn Communications on behalf of Cadbury to carve a giant 2m tall Ice Penguin for their #meltwithjoy promotional campaign. 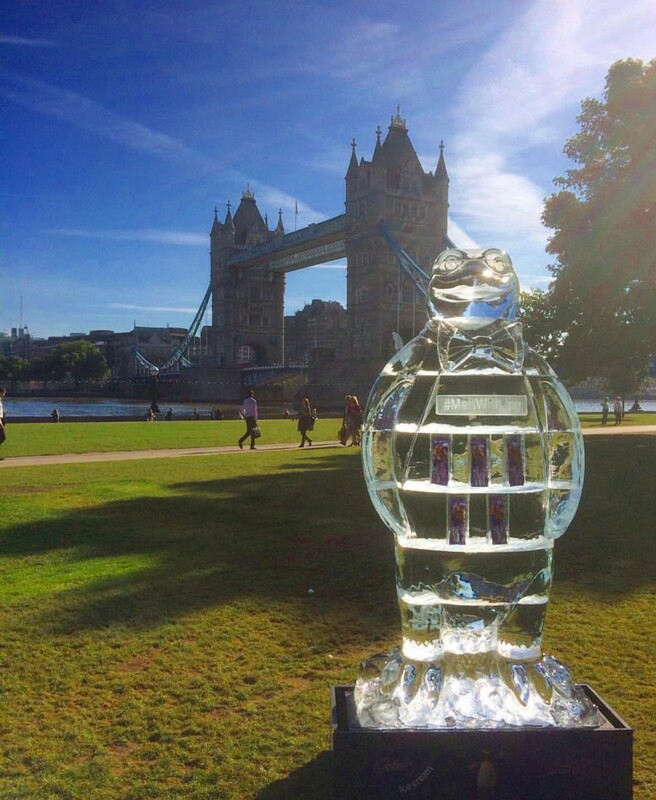 The penguin was positioned in a footfall heavy location in London with the spectacular Tower Bridge as it’s backdrop. 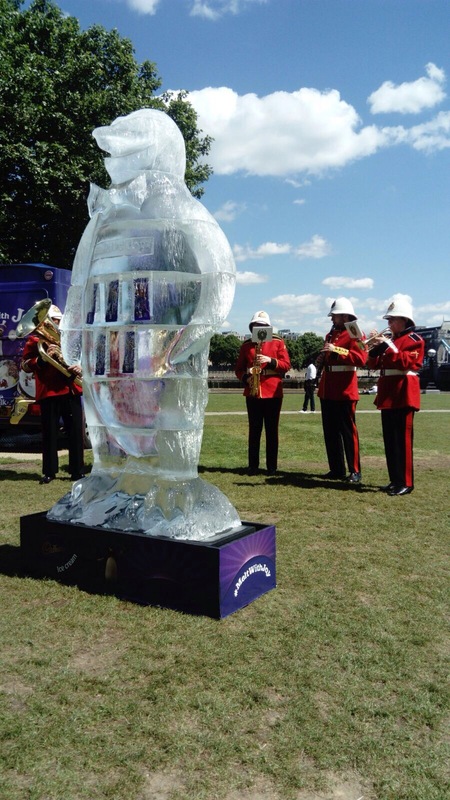 As part of an interactive stunt, the public were encouraged to enter an online competition to guess the melt time of the penguin ice sculpture with the prize of free ice cream for a year!